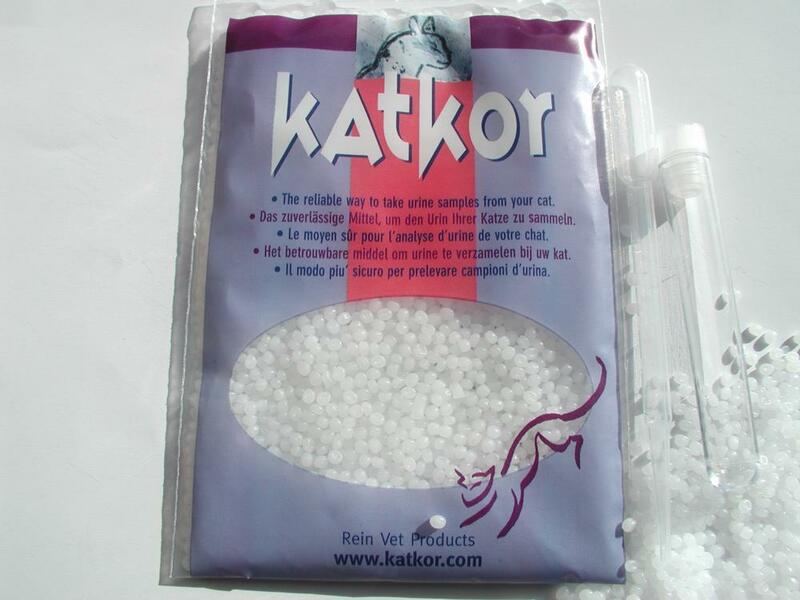 The Katkor Non-Absorbent Litter Urine Collection/Sampling Kit contains litter beads, a plastic pipette and test tube. Designed to fool your cat into urinating on non-absorbent litter to facilitate urine collection, use the plastic pipette the within the Katkor Urine Sampling Kit to collect the urine and then use the test tube to store and transport the sample to your vet. A consistent and reliable way to collect urine. Below are some recent questions we've received regarding Katkor Urine Collection/Sampling Kit, including answers from our team. I'd like to buy some urine sample kit but this page doesn't explain how to use this product. could you explain how to use it and is this reusable or just one time use? Thank you for your question, You use the non-absorbent "fake litter" in your cats litter tray and then you use the pipette to collect the sample and transfer it into the sample cup.